Minnesota Theater Love: Short Takes: The Matchmaker, Crazy for You, The Musical of Musicals: the Musical! 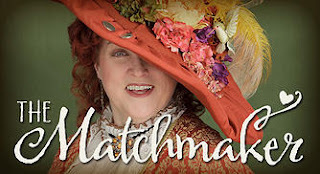 Short Takes: The Matchmaker, Crazy for You, The Musical of Musicals: the Musical! I saw three shows last weekend and although I enjoyed them all thoroughly, I am suffused with regret for the fact that I didn't see them in time to share the love. So belatedly, here are three quick takes on these shows. Love Karen Weise-Thompson, love Craig Johnson and Girl Friday Productions. Karen Weise-Thompson is, as she always is, utterly hilarious, and creates a wonderfully rich Dolly Levi. Dan Hopman is eternally fascinating to watch and this role gave him great scope for transforming from a meek clerk to a sophisticated man-about-town. Twice, audience members commented (yes, aloud) on "his little face!" He gives great face. Hilarious performances by all, especially Sam Landman, who hit every note perfectly, and David Beukema, who got marvelous laughs without many lines at all (I love his carriage in his cabman's coat--that will stay with me!). This is the second show I've seen on the thrust stage, and Johnson makes fabulous use of the thrust stage. He moves his characters around seamlessly so that you don't miss a single facial expression or gesture. If only every director had such skill...it would definitely help my skepticism of the thrust stage. Supporting my local (well, work local) community theater! Also, love Crazy for You, and haven't seen a production since the 1990s (?) Ordway tour stop. How can anyone live up to Harry Groener in the original cast? And yet, Benjamin Kolls as Bobby Child, did a beautiful job. Despite being new to musical theater, he danced beautifully, fainted fabulously and when dancing with Lauri Kraft as Polly Baker, moved fabulously, particularly in "Could You Use Me/Shall We Dance." A charming cast and a charming production all around. A pet peeve of mine is when directors create height in a production by throwing someone up on a ladder and pushing them around. Joe LaForte did a wonderful job of using the entire vertical stage space in a natural, realistic and engaging way. Beautifully done! 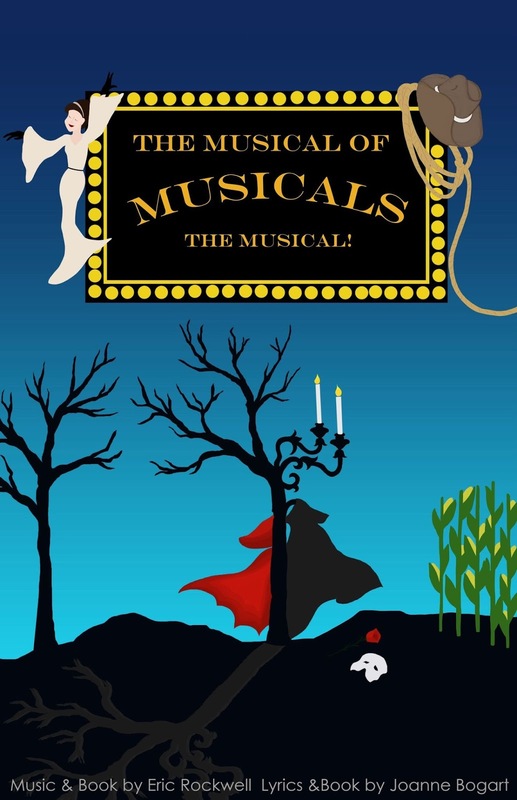 A satirical musical that tells one story in the tradition of four great musical theater composers/teams? How can I miss this? 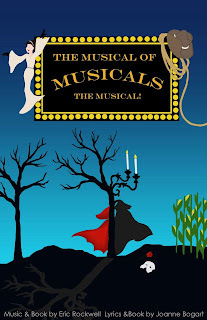 Holy cats, the musical theater allusions fly fast and furious in this delightfully short show. The four segments (all based on the trope "I can't pay the rent! ", "You must pay the rent!") were Corn - in the style of Rodgers and Hammerstein, A Little Complex - in the style of Stephen Sondheim, Dear Abby - in the style of Jerry Herman, and Aspects of Junita - in the style of Andrew Lloyd Webber. Witty and very inside theater, the references and nods flew so fast and furious that even I felt like needed an annotated version. Very hilarious and well done by a great, enthusiastic young cast. All of these audiences were wonderfully well-behaved, attentive and engaged. Not one made me want to smack someone upside the head. Also, at Bethel, their pre-show cell phone announcement included the caveat that checking the time or texts on your phone is distracting--please don't do it. Love that!